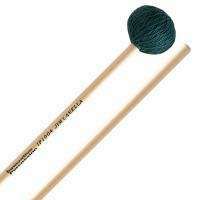 The Jim Casella Signature IP1004 Soft Cord Vibraphone Mallets Have Rattan Shafts. The Soft Cord Is Wrapped Around A Rubber Core And Produce A Warm Tone That Blends In With Any Ensemble. Soft Cord Is Typically Used On The Lower Register Of Vibrophones And Can Be Used On Marimbas.